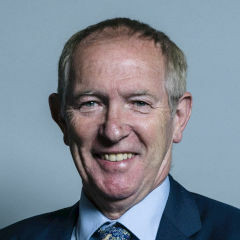 Having been blocked on Twitter by my MP Kevin Barron years ago, in a dull moment or two, I have wondered if Kevin still takes part in the Twittersphere of information and misinformation sharing. His website page here, Kevin Barron MP gives contact details – email and telephone, but does not mention Twitter. The news page is not a very detailed report of what has been happening in either Parliament or Rother Valley. If he uses Twitter to inform his constituents of his policies, then I am missing out on important information. which claims to list the deleted Tweets of MPs. Now of course, all of us who engage in Twitter or any other social media, will have written posts which on second thinking, we decide to either reword or delete altogether. Nothing strange about that. “Members of Parliament are LENT the powers of their constituents and they must return the powers UNDIMINISHED. It’s not for members of parliament to give away powers that were lent to them because they don’t belong to them. They belong to the electorate – and that is a critical matter”. Is looking at my MP’s deleted tweets a good way to understand their true thinking … or is it just unethical and none of my business ? All comments responded to in confidence. For those who have the tiniest bit of interest or will concerning the leaving the EU farce, here are details of our MP’s vote last night. bringing into force of their future relationship.